Not much more else to say about it but these guys are totally world class. Awesome. If you haven’t seen their work look for their website www.aquariumdesigngroup.com and go get inspired. I know how hard it can be to get inspiration for your aquarium and I’ve come across an excellent scape which uses only a few plants and dragon stone. The rock as per most decent aquascapes is the main focus and the dragon stone used in the picture below is brilliant. The other plants used are anubias nan bonsai, hemianthus callitrichoides, eleocharis acicularis, and I can’t quite make out the plant in the middle but perhaps it’s pogostemon eustralis. But isn’t the tank just serene? I love it and hope you do to. Sounds futuristic doesn’t it? I mean grown in jelly – how can you grow plants that way? Well a few businesses around the world are doing just that and have been doing so for a long time too. Strictly speaking it’s not jelly and is in fact a tissue culture which has been around since the 1950s. 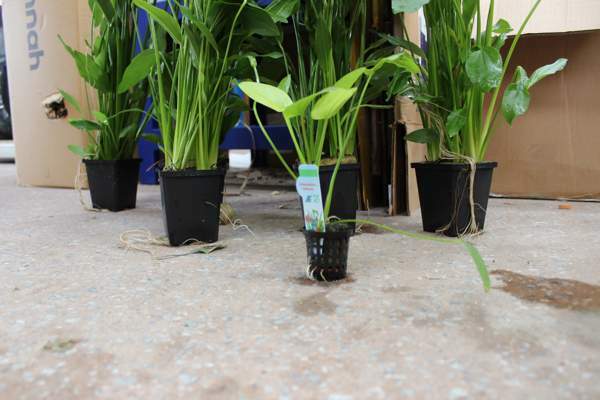 Tropica have been using tissue culture plants since the 1990s and they’re the most active in the industry and have begun to establish these types of plants and make them available to hobbyists. So what’s the benefits? Well for businesses like Tropica a lot. Plants grown in laboratories yield extraordinary amounts in perfect conditions so the plants literally flourish before your very eyes (just imagine being able to watch plants grow). 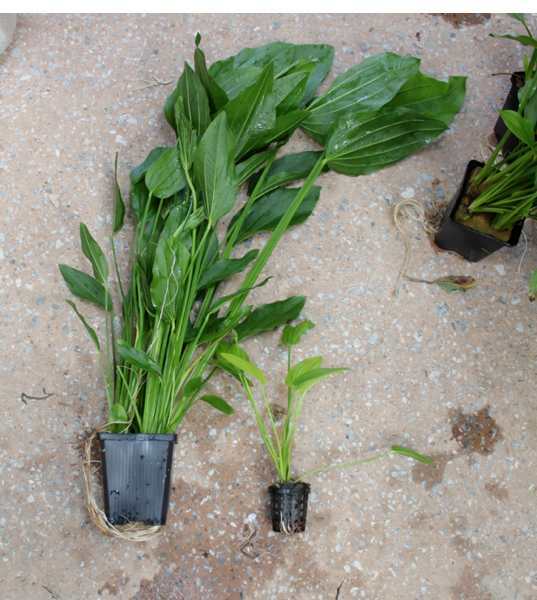 Not only that but the plants are all disease free, they produce wonderful clean roots and the plants are much stronger compared to those which are produced by conventional methods such as seeds or cuttings. And to top it all off, they can pack hundreds and hundreds of plants into a very small space so from a square meterage point of view, they score a 10. And when the plants are big enough they chop them up into tiny portions maybe 8 pieces from one container and pot them up in one of their gigantic greenhouses. At some stage along the way they will be ready to sell. 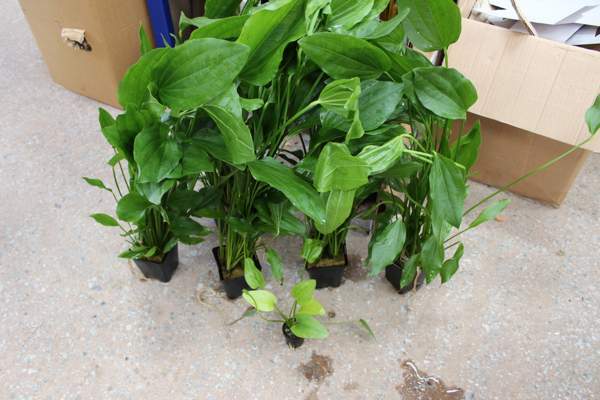 However, not all of them make it to greenhouse heaven, and some stay in their containers, and this is what Tropica have called Tropica 1-2-Grow! (catchy heh). But it’s all well and good hearing how great it is for Tropica, the most important part is how good is it for you right? You want to know what the benefits are when compared to the other option which is potted plants? My own personal opinion is that they are very good but I’ll break this down into bit sized chunks. PROS: Tissue culture plants are free from all types of pests (snails etc) and are 100% free from algae. As a result if you decided that you wanted a tank which definitely had no snails, then tissue cultured plants are perfect. In addition it’s worth remembering that these types of plants take very well in the aquarium and you get less die off due to the plants living in a sterile environment from day one. 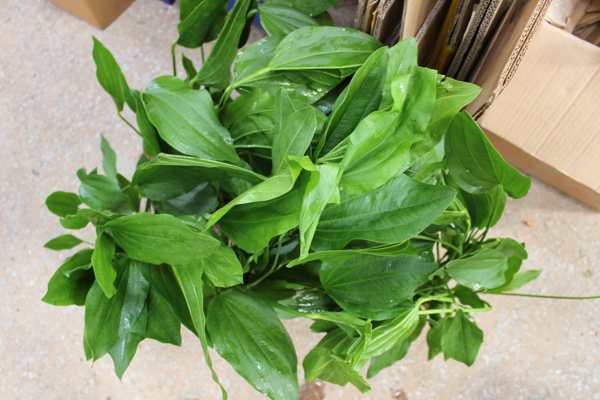 And lastly, they ship very well so if you live abroad and buy from us then the plants are more than likely to arrive in perfect condition. CONS: The range is somewhat limited with 17 species available (however I expect this to increase in the future). The pots are not very big, roughly 7cm diameter. And lastly the plants themselves are not very big as the pot is only 4cm tall so you do, like the label suggests need to grow them on. 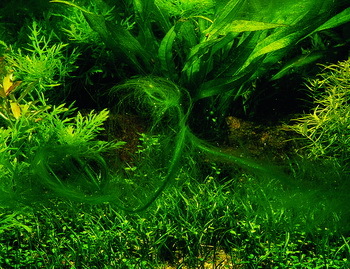 You can find all our Tropica 1-2-Grow! plants by clicking on this link. The chap who designed this tank is also famous for writing on small items such as a grain of rice, poppy seeds and human hair! Good job he has a steady hand. Fish need a home right? Well kind of anyway. But here’s a fish house with a difference and this one is covered in moss. This neat little shelter is 10x5x5cm and has a hole which passes right through it. The moss which covers it is superb – none of this rubbish moss that comes from Asia, this is moss that was grown in Holland and it’s the finest I have seen. Really pure and green with no brown bits. 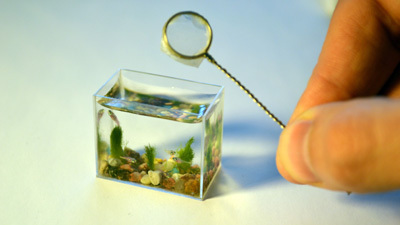 It will sit perfectly in any fish tank and blends in seamlessly which is what is most important. No need for any gimmicks with this product. 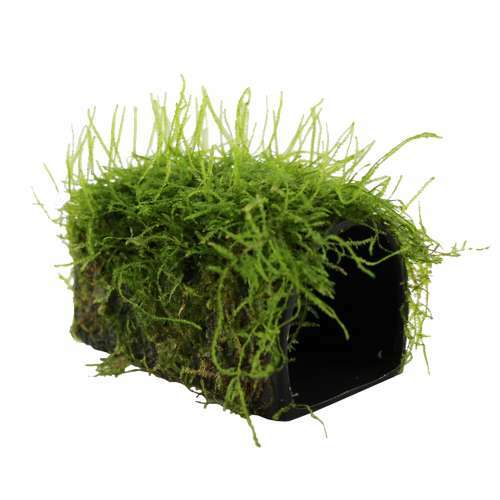 Find this product and mother moss by clicking here. They don’t come any bigger than this. Not only is this tank HUGE but it’s also scaped by the most famous Aquascaper in the world, Mr Takashi Amano – an inspiration for me and one of the reasons I became interested in planted aquariums. To take on a tank of this size is tremendous – you would certainly want as much of it to be automated as possible such as water changes, and even better if you have others to maintain it for you. Nevertheless truly incredible don’t you think? These types of scapes were super popular in the 90s, and I mean everyone who had a crack at planted aquariums did it this way. Loads of colour, loads of fish movement. It was only later on in the 90s that Takashi Amano turned things round and began producing iwagumis. Anyway, it got me thinking – I don’t really see any Dutch aquariums these days and wondered if you are aquascaping one at home? So just how big are the Mother Plants? 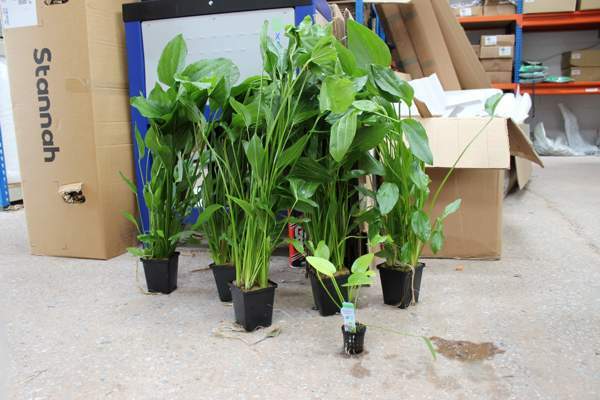 and they are by far the largest Mother Plants we have in stock at the moment. Part of the reason they grow so big in down to the care and attention they have received over the summer from Aquadip the end result is spectacular. You can also see a normal 5cm sized pot and the difference between that and the Mother Plant. And the 5cm pot isn’t that small either at about 25cm tall. and all for £13.99! So if you have a large tank or even a 4 foot one with an open top, you can be really creative with these plants and have an aquarium that would be the envy of your friends. At this moment in time, these plants stand about 80cm+ – impressive heh! You can find this plant and all the other Mother Plants by clicking here. Classic iwagumi really which is easy to maintain and easy on the eye. I’m a big fan of these types of aquariums as they are just so relaxing and fortunately they don’t take a great deal of maintenance. It’s a large tank so water changes are probably the hardest thing but that’s about it. Stumbled across this beauty today and was rather impressed so thought I would share. Takes a lot of skill to get a large planted aquarium looking like this. What do you think? If you’re after a cracking stem plant that adds some stunning red into your aquarium then maybe this plant could be just for you. Ludwigia perennis is really lovely and stands nice and tall which is how I like my stem plants to grow. 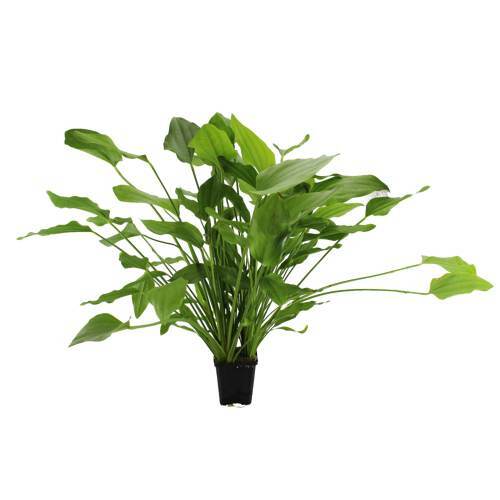 Like all stem plants they are fairly easy to grow and require medium light or higher. When planting, make sure you give them space otherwise the leaves at the bottom will drop off. When trimming, be heavy handed and cut 50% off every trim. This might sound dramatic but the plant will look better each time, become bushier and bushier. If you don’t do this it will just become leggy and lose its colour too.